At this year’s Outdoor Retailer Show in Salt Lake City, there was an unfamiliar air of excitement among Confluence Watersports employees, something that has been missing in recent years. Maybe it has to do with better leadership? Confluence interim CEO Tom Nathanson isn’t a paddler. But he knows business and has the respect of his co-workers . He was hired by American Capital to run Confluence because he understood family-run companies – a commodity Confluence has acquired plenty of in the last few years. Paddling Life caught up with Nathanson, who talked about searching for a new CEO, Dagger, Wave Sport and the paddlesports industry. PL: Tell us about your background? TN: I’m an engineer by education and I was running a Fortune 500 company. The company was sold and American Capital was looking for someone classically trained by corporations but with experience in family-run businesses. Before I worked in the corporate world I had experience with family businesses so it worked out. Confluence is owned by American Capital but it needs to run on its own. It has a much different identity than our other companies. PL: So how long will you be the “interim” CEO? 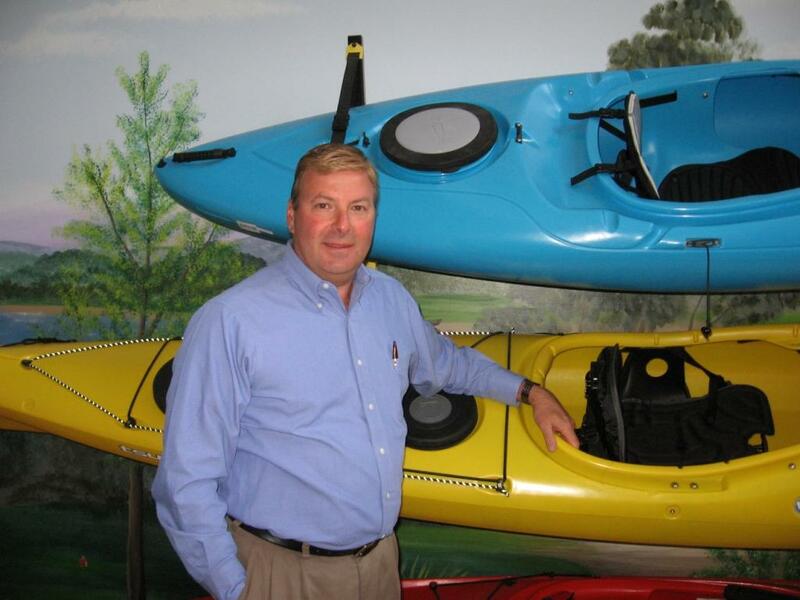 TN: Confluence deserves a CEO from the outdoor retail industry. We’ve narrowed the search down to two people so we’re really excited. We plan on naming that person sometime in September. I can’t give names right now but both are from outside the company. One was at OR with her/his company. I will continue to sit on the board and consult where need be but we’re excited about the new CEO. PL: How has the transition been for the company? TN: We’re stabilizing at the moment. We didn’t do a good job integrating Confluence and Watermark. It was tough but things are definitely stabilizing and we’re starting a growth period. PL: What has surprised you the most? TN: What I’ve found is a lot of our brands have a cult following. Wilderness Systems, Dagger, Mad River, people call us a lot asking about these brands. PL: Speaking of brand alignment, rumors are flying around the industry about the fate of two historic whitewater companies, Dagger and Wave Sport. Will those companies survive the Confluence/Watermark merger? TN: We have regular discussions about these brands. It’s a broader picture though. We want our specialty guys to be successful but the big box is a huge market and we have to find a way to satisfy both. There is no validity to either going away but there is the potential one will go to big box and the other will go to specialty, we don’t know yet. This whole big box versus specialty is the question of the day. I got a lot of council at OR from different people. Big box retailers are here to stay. But the specialty people are key to the market because they sell new customers with their knowledge and keep people coming back. This will always be one of our biggest challenges: satisfying both. PL: This spring, there was news of a drug bust at Confluence followed by a series of company-wide layoffs. Coincidence or was this all planned together? TN: When we merged two companies we had to hire a lot of people. When you hire a volume of people, those things happen. Among a small fraction of employees, we found evidence of drug use. We have a zero tolerance policy for that and did extensive testing after that evidence was found. People who refused to take tests were let go and those who came up dirty were as well. The layoffs we had were coincidental. We have a very young workforce and I think that had something to do with it (drugs). As a company, it’s tough to lose that many workers but we can’t compromise safety in our factory. PL: What are your thoughts on the paddlesports industry? TN: As someone from outside the industry, I can’t believe that paddlesports isn’t bigger. If you compare it to golf, the investment is much less, it can be done by a wide variety of ages and in so many different places and there aren’t any green fees. We, as a company, want to grow the sport. I’d never been in a kayak before OR and I loved it. I was blown away. I’d like to try whitewater and probably will in the next year. It’s great exercise and it gives you access to so many beautiful places. Editor’s note: This was the second in a series of sitdowns with the heads of today’s major boat manufacturers so you could put a face to the kayak you’re paddling. Look for more “big cheese” interviews from companies like Legacy, Johnson Outdoors and others in the coming weeks. Next articleThe Paddling Life: Let My Children Raft!